It's a destination where fairy tales come true, with some of Scandinavia's best restaurants, and plenty of opportunities to get 'hygee' - that means 'cosy' to you and I: Denmark's capital, Copenhagen, is a romantic choice for anyone planning a Valentine's Day getaway. Copenhagen will delight your inner child. 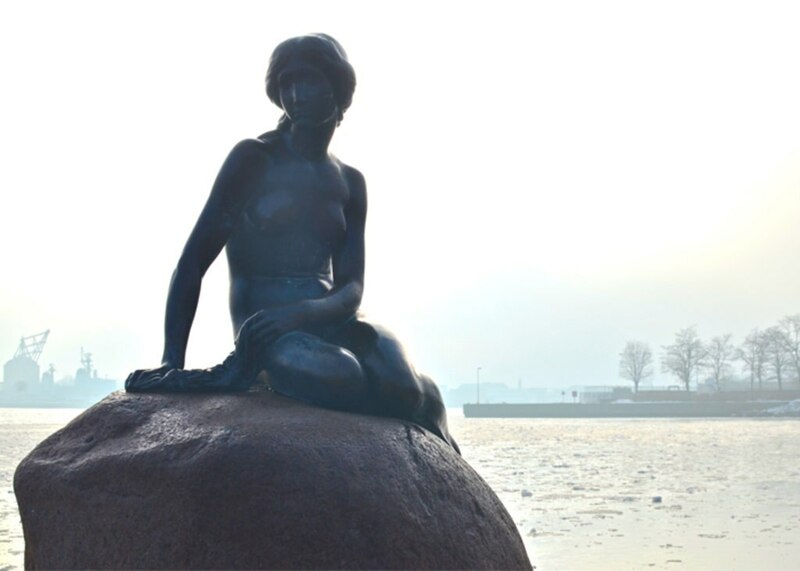 Enjoy a romantic walk along the Langelinie Pier where the Little Mermaid statue can be found, or wander with your Prince Charming down to the grand yet unobtrusive Amalienborg Palace - the winter palace of the Danish Royal family. If you want to dig further into Hans Christian Andersen's famed fairy tales, a brief stop at the Fairy-Tale House is a must! Take a tour of the legendary Carlsberg Beer Factory where you'll learn the history of the brew, find out why there are two breweries side-by-side, and visit the Carlsberg Stables to meet some of the working horses. Plus you get a few glasses of the good stuff! I'd say that a trip to the Carlsberg beer factory is the way to any mans heart! Spoil your partner by taking them on a shopping trip in Copenhagen's cool, sophisticated boutiques - and don't forget to pick up a little something for yourself! If you're looking for textiles and Scandinavian design pieces, then a visit to HAY (Pilestræde 29-31) is a must. The company brings architectural elements into the design of everyday items, with many items made from sustainable products. Alongside brands like Adidas and Comme des Garcon's, Mads Nørgaard (Amager Torv 15) offers timeless pieces for men, with an increasingly growing woman's section. Expect to find lots of laid back casual pieces often incorporating the signature stripe design. David Andersen's striking, forward-thinking designs are one part rock chick, one part classic. Combining a mix of fashion couture and ready-to-wear pieces, his flagship store on Hyskenstræde is a must for the fashion forward. When you've finished your shopping expedition, take the opportunity to relax at Europa. Located on Strøget, the café is in the heart of the busy shopping area, filled with locals enjoying a coffee and some traditional Danish cakes. 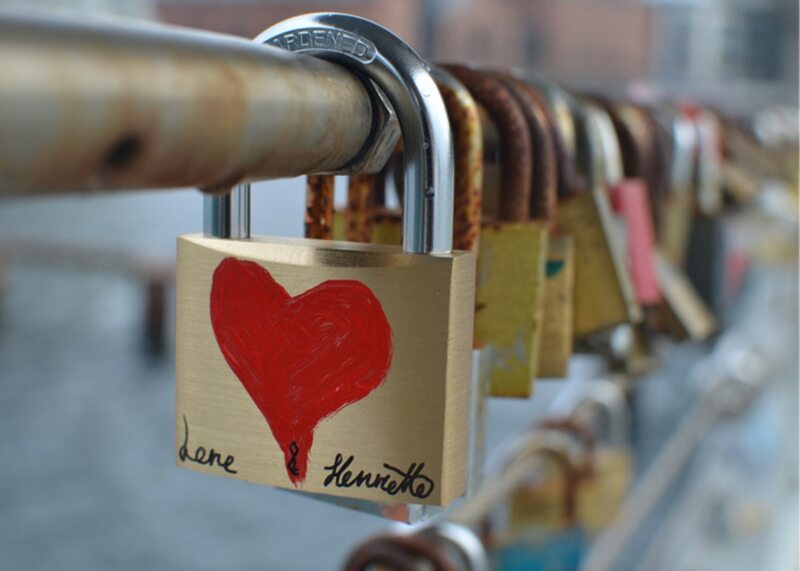 Lovelocks are a growing trend around the world, and Copenhagen has a special place for lovers to declare their never-ending love. Just outside the city centre is Bryggebrøen, the place where the cities lovers come to declare their loves by placing a inscribed padlock on the bridge. With no shortage of cool places to eat, spend your evening in one of the Meatpacking District, one of the up and coming neighbourhoods in Copenhagen. If you're keen to skip the New Nordic trend sweeping the country, then Restaurant Kul (Høkerboderne 16B-20) is the place to go. 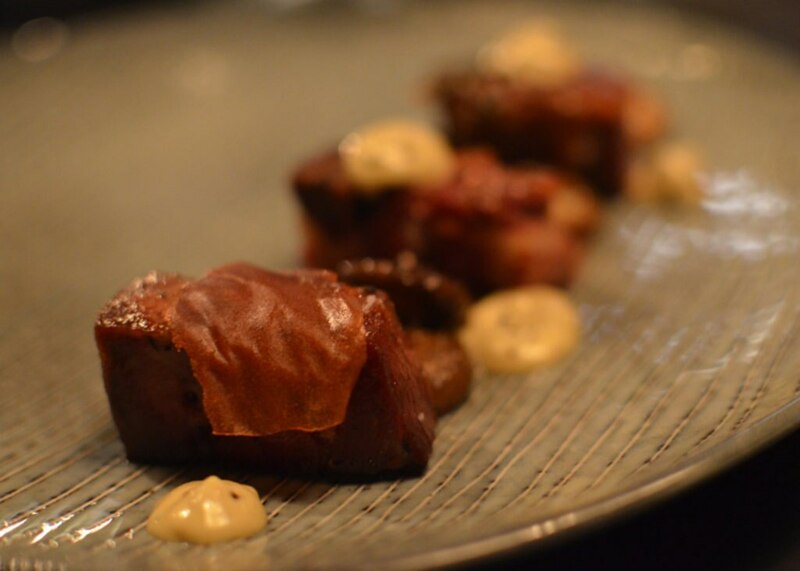 Specialising in affordable tasting plates usually cooked over the charcoal-fired ovens and a Yakitori grill that the restaurant gets its name from. Across the road from Kul, Mother (Høkerboderne 9) is a new favourite among Copenhageners. If you're looking for gourmet, no-fuss sourdough pizza in a cosy and welcoming environment, this is the place to eat. For seafood lovers, Kødbyens Fiskebar (Flæsketorvet 100) is where the focus is on the food, leaving you to relax in the comfortable converted meat hall. Founded by ex-Noma staff, the razor clams or langoustine are sure to impress. A miss-visit for beer geeks: finish your night at one of Denmark's most popular microbreweries - Mikkeller (Viktoriagade 8). With no less than 20 beers on tap at anyone time, and craft beers for different events and festivals, there will be a beer to suit every palate! The elegant and welcoming Hotel Kong Arthur will inject an extra touch of romance into any Valentine's getaway. Spacious rooms and large beds, coupled with a small intimate lounge area in most rooms, leave you with plenty of space to spread out and relax. Be sure to ask for a room with a view over the lake. Take some time to enjoy the onsite Ni'mat Spa. Organise a visit to the water temple, including steam room and spas, or book in for a couples massage, the ultimate way to distress on your holiday. If you are looking for something that is a little more budget-friendly, consider their sister hotel, Ibsens Hotel, located just next door. The minimalist space offers a contemporary design, nightly 'cosy' hour drinks, the same spacious and comfortable beds, and a real homely feel as they bring elements from the stores nearby into every aspect of the property. Nicole Smith is the writer behind Bitten by the Travel Bug, focusing on her travels around the world in search of adventure, culture and just a little bit of luxury. She also writes about the stylish side of travel, global beauty finds and everything 'boutique' at Stylish Travels. This hotel is housed in a converted warehouse, dating from 1787, in the heart of Copenhagen on the harbour waterfront where old schooners and yachts moor, with the Queen's palace, Amalienborg, a close neighbour. Copenhagen Island Hotel sits right on the harbor within easy reach of the city center. Nearby Dybbølsbro Station is 1 stop from Copenhagen Central, and City Hall Square is a 25-minute walk. Fisketorvet, one of the city's largest shopping, entertainment, and dining complexes, is next door. Clarion Hotel Copenhagen Airport is connected to Copenhagen airport via a covered walkway, a 12-minute train journey from the city centre. Wakeup Copenhagen Carsten Niebuhrs Gade is within a 15-minute walk of Tivoli Gardens and Copenhagen Central Station. Christiansborg Palace is a 15-minute walk away. The restaurants and bars of Nyhavn Harbor are a 5-minute cab ride from the hotel. Some of Copenhagen's most popular attractions - including Tivoli Gardens, Strøget, and City Hall Square - can be reached on foot in less than 10 minutes from the Imperial Hotel. The rest of the capital is easily accessible by train, with Central Station just 2 blocks away. Hotel King Arthur offers guests a relaxing retreat in a cobblestone street dotted with bakeries and cafés. Peblinge Lake is a short wander across Queen Louise’s Bridge, and Rosenborg Castle is 10 minutes away on foot. Pedestrian shopping street Strøget is a 15-minute walk through the city center. Located in the heart of Copenhagen, this hotel is within a 10-minute walk of Ny Carlsberg Glyptotek, National Museum of Denmark, and Christiansborg Palace. Tivoli Gardens and Stroeget are also within 15 minutes. Ascot Hotel is within a 10-minute walk from the Tivoli Gardens and Copenhagen Central Station, with direct access to Copenhagen Airport. The historic City Hall Square and Stroget street are also nearby. Located in Nyhavn - Amalienborg, this eco-friendly hotel is within a 15-minute walk of Nyhavn, Amalienborg Palace, and Thorvaldsens Museum. Church of Our Saviour and Frederik's Church are also within 15 minutes. Tivoli Hotel is conveniently located a 10-minute walk from bustling Central Station, and 5 minutes on foot from Dybbølsbro Station. Major sights are within walking distance of the hotel, including Tivoli Gardens theme park, 15 minutes away. It's 20 minutes to the pedestrian shopping mecca, Strøget. This modern canalside building has a glass and marble lobby, and lies 350 meters away from such Copenhagen attractions as Ny Carlsberg Glyptotek art gallery and Christiansborg Slot (parliament). This modern apart-hotel is located in Copenhagen's new harbourside development, 500 meters from the International Ferry Terminal and near the Copenhagen Cruise Port. Modest city hotel set up in 1930s, located in the centre of Copenhagen right by Central Station and 300 metres from Tivoli Gardens. Copenhagen Strand Hotel is just a 4-minute waterside stroll from Nyhavn’s brightly painted townhouses and historic wooden ships. A 10-minute walk away, Amalienborg is the Royal Family's winter palace. The popular, car-free shopping street of Strøget is a mere 20 minutes on foot. Hamlet and Sweden tour - two countries in one day!